Borealis and Borouge, leading providers of innovative, value-creating plastics solutions, are strengthening their global leadership in the wire and cable industry through two major Borlink™ investment projects - the recently announced expansion of the crosslinked polyethylene (XLPE) production facilities in Stenungsund and the ongoing Borouge 3 project in Abu Dhabi. These two projects demonstrate commitment to ensuring the global availability of high-quality compounds required for the most demanding applications in power cables. Borealis and Borouge will use the 2014 Wire Düsseldorf (April 7 – 11) as a platform to present both these significant investment projects and three innovative new products: Borlink LS4201EHV and Borealis LE0563 for power cables and Borealis PP4874 for communication cables. To meet the rising demand for energy in the world, existing transmission lines must be refurbished and new ones installed. As energy generation gradually shifts towards renewable sources such as wind and solar, these sources must be integrated into the existing grids. Borealis and Borouge are helping the wire and cable industry to meet this demand by offering high quality and innovative polyolefin compounds. Investments in cutting-edge facilities are essential in order to guarantee reliable and global supply. After Borealis’ significant investment into a highly advanced high pressure low density polyethylene plant in Stenungsund, Sweden, inaugurated in 2010, Borealis is now investing in an XLPE capacity increase at the Stenungsund plant. This investment, which increases overall capacity by 20 kilotonnes, is being applied directly to Borlink extra high voltage (EHV), high voltage direct current (HVDC) and high voltage (HV) polyethylene compounds produced in closed or controlled loop processes. 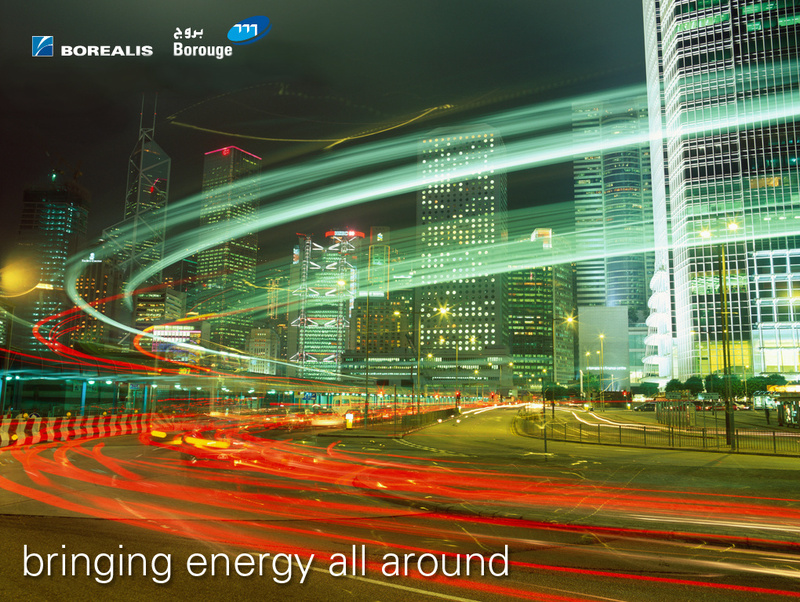 Borlink technology is the key response from Borealis and Borouge to guarantee the highest cleanliness to customers and the value chain. 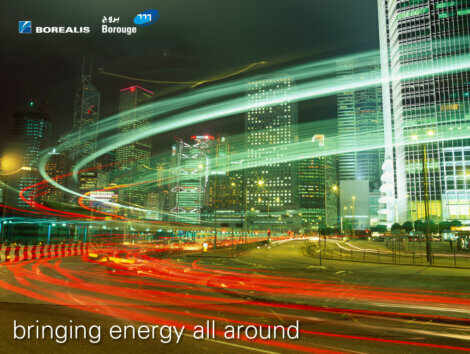 The capacity increase is scheduled to come on stream in the course of 2015 and will emphasize Borealis’ global leadership in the EHV and HV markets. Borouge is currently expanding its polyethylene (PE) and polypropylene (PP) manufacturing capacity in Ruwais, Abu Dhabi, from 2 million to 4.5 million tonnes per year (t/y). This development is one of the largest and most integrated polyolefin expansions in the history of the petrochemical industry and is positioning Borouge among the top producers in the Middle East. The wire and cable industry will reap the concrete benefits of this growth with relevant grades produced at a 350,000 t/y high pressure, low density polyethylene (LDPE) plant, a significant addition similar to Borealis’ LDPE plant in Sweden. This investment in LDPE production spearheads Borouge’s ability to manufacture innovative Borlink and Visico™ XLPE solutions for the global wire and cable market, assuring the same superior product performance of the Ruwais-produced wire and cable compounds. "Borealis and Borouge continue to maintain global leadership in the wire and cable industry by investing in cutting-edge production facilities and in innovation in all areas of the world where we do business,” adds Gilles Rochas, Borealis Vice President for Energy and Infrastructure. In addition to showcasing investments in Sweden and the UAE, Borealis and Borouge are officially launching three new products for the wire and cable industry at this year's Wire Düsseldorf. In power cable applications: The introduction of Borlink LS4201EHV brings the benefits of the Supercure technology to the most demanding extra-high voltage applications. Borlink LS4201EHV builds on the excellent track record of Borlink LS4201S and the outstanding cleanliness associated with the classic Borlink LE4201EHV grade. Borlink LS4201EHV provides valuable benefits for the cable manufacturers in terms of improved processing (improved scorch performance) and improved production cycle (lowered degassing burden). In power cable applications: Borealis LE0563 is a next generation thermoplastic semiconductive compound suitable for cable applications, where excellent grounding and diagnostics are essential. The launch of LE0563 complements Borealis' existing offering in power cables applications and is especially suited for subsea usage. In communication cable applications: Borealis PP4874 is a superior insulation compound for unshielded twisted pair (UTP) data cables. PP4874 leverages the mechanical properties of PP to provide increased hardness. Data cables insulated with PP4874 maintain roundness during high-speed insulation twisting. Visit Borealis and Borouge at Wire Düsseldorf from April 7-11 at hall 10, stand D72. Borlink, Visico and Water for the World are trademarks of the Borealis Group.